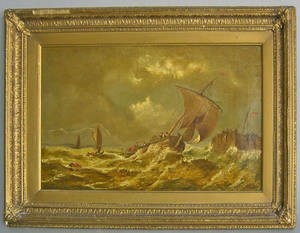 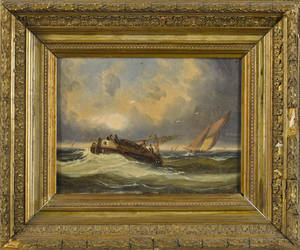 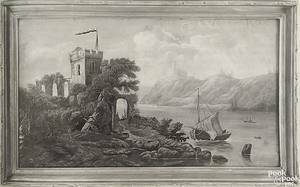 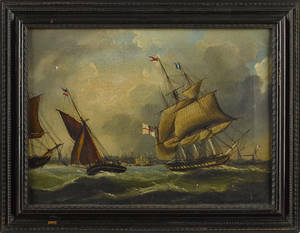 Continental oil on canvas seascape, 19th c. , depicting sailing ships along a rocky coast, 18 x 32. 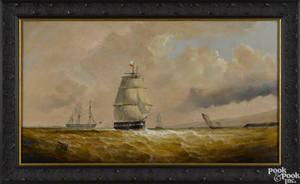 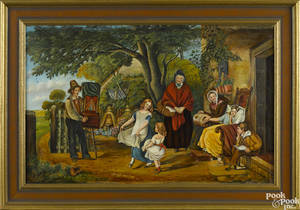 Provenance: Private Wisconsin collection. 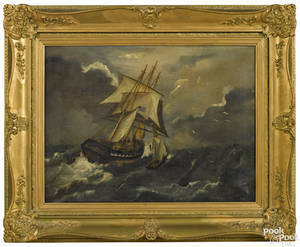 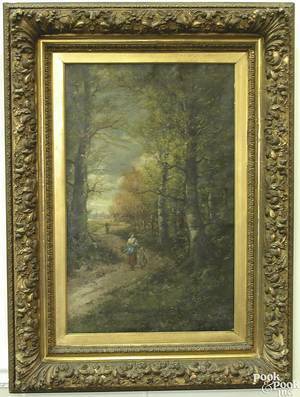 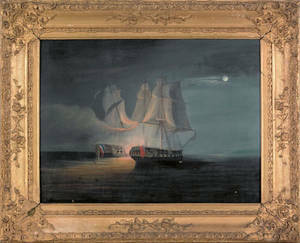 Archived auctions similar to Continental oil on canvas seascape, 19th c.
Oil on canvas seascape, 19th c.
Continental oil on canvas landscape, 19th c.
Massive Continental oil on canvas landscape, 19th c.